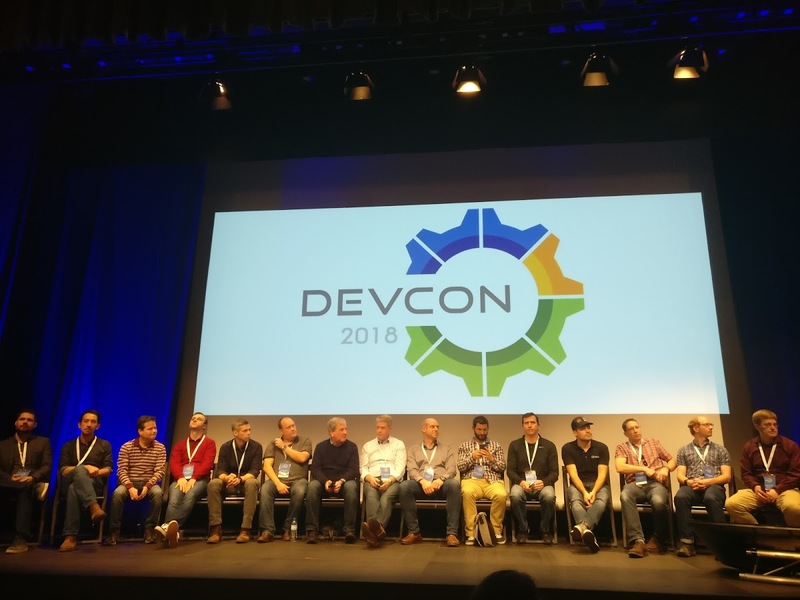 Alfresco DevCon 2018 is an international developer conference. After the break, the event was arranged by the Alfresco company together with Alfresco community with a free admission to bring in more developers to the dialog on the future of Alfresco solutions. This year it was held on January 16 -18, 2018 in Lisbon, Portugal what surely gladden participants from temperate latitudes who used to enjoy the Ukrainian winter charm. Community enthusiasts from all over the world were involved in over 60 sessions of informative knowledge sharing full of inspiration and fun. An introductory full-day session was run especially for newbies to acquaint them with Alfresco capabilities. 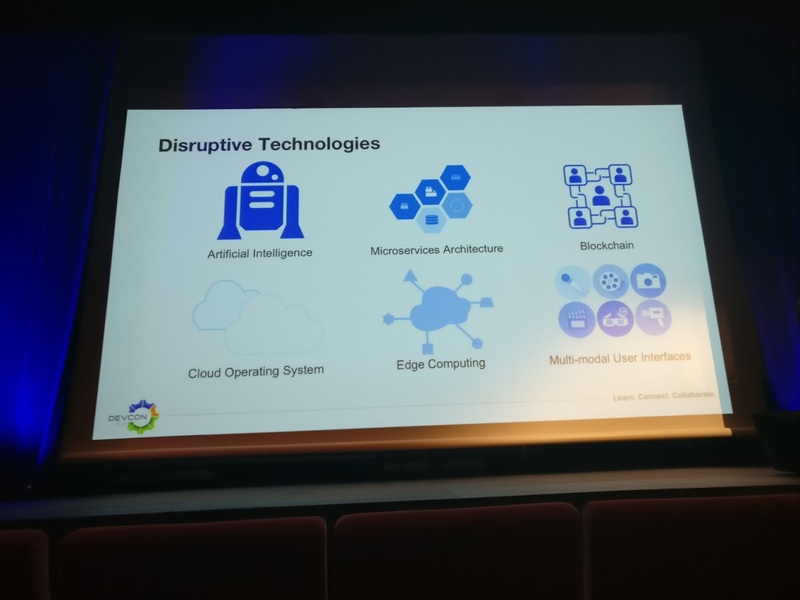 Customers and partners had an excellent opportunity to talk with “Alfrescians.” Technical representatives and leadership imparted a brief look at the future and change in the platform architecture. Museu Fundação Oriente has also proven to be a breeding ground for technical conversations between techies of Alfresco development providers and customers. Speakers stuck to the essentials. Steps are being taken to make a significant shift towards AWS as a more convenient way to be hosted in the cloud. Microservice architecture and Docker containers are accepted to be the way of platform operation shortly. It is expected Alfresco Content Services (ACS) will undergo changes in microservice architecture in a new major version of Alfresco. Activiti 7 was announced to be released with adapting it to the microservices architecture. 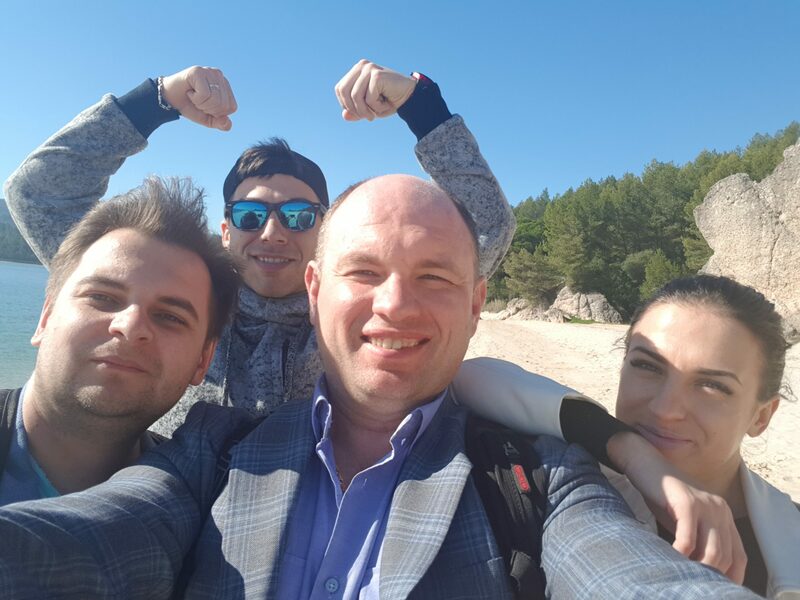 The primary goal DevCon was interaction with the community. Alfresco staff presented half of the talks; community members shared the rest thoughts. There was an exchange of experience and groundworks between tech enthusiasts. Thursday gave us talk of John Newton, CTO, and Founder of Alfresco, about disruptive technologies of the present and its impact on content. 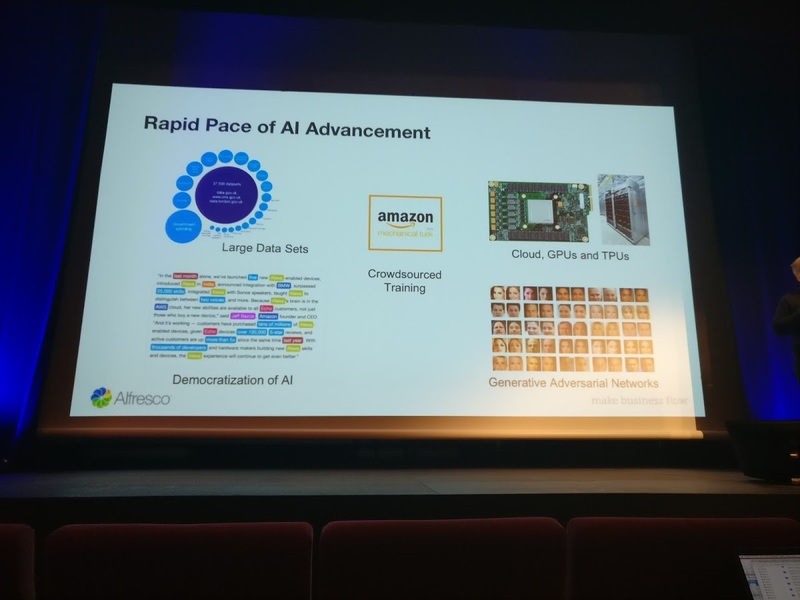 Machine learning and Deep learning, IoT, and others will influence a digital world and Alfresco can’t disregard the tendency in his opinion. Useful insights and use cases were heard from the stage by Romano brothers Mario and Eugenio with ADF 2.0 as a central topic. They presented in turn how to leverage and embrace the changes. Michael Suzuki spoke about SQL inquiries to work with SOLR indexing in a session devoted to Alfresco Reporting & Analytics. Community representative Jeff Potts reported about a solution his team made for one of their clients to deal with massive files while moving them in and out of the repository. Toni de la Fuente took the backing up thing which is vital for multi-million documents management. Bindu Wavell narrated about yeoman generator and ways to work with SDK 3 comfortably. Axel Faust submitted the extensive report about ACS and APS patch handling patterns. 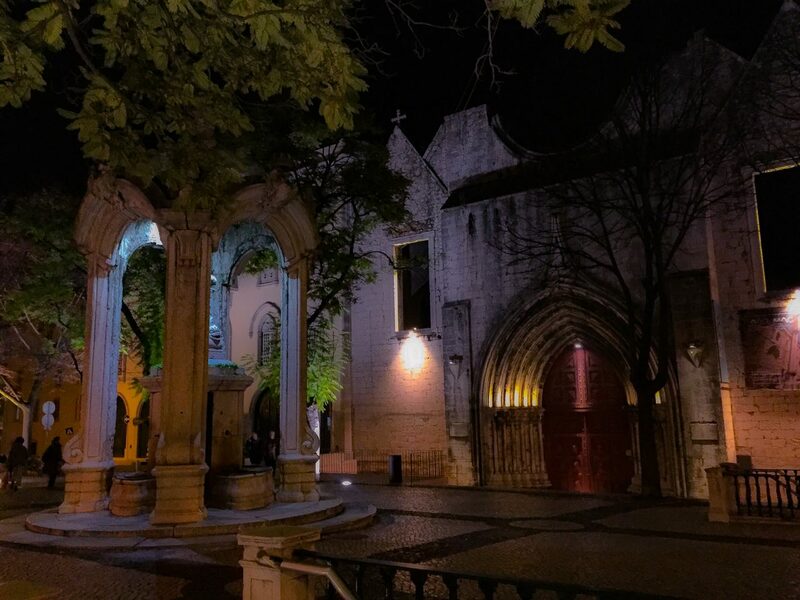 Our free time we devoted to sightseeing exploring ancient markets, museums, and monuments, improbable houses adorn with colorful tile, magnificent cathedrals located on the lively cobblestone streets with abundant vegetation and unobtrusive lighting. We went for a ride by Lisbon urban train, tasted flavored local port wine, and embraced with the ocean. To reconcile work and traveling is a good way to love what you do and move forward.